The Sheehan Cup for the hurling clubs begins next Sunday with the first of what will be a 5 round competition. The top two teams after the 5 rounds are completed will meet in the final on June 5. Tipp, Wexford, Tom’s, and Cork get a run on Sunday, while Galway get a rest. 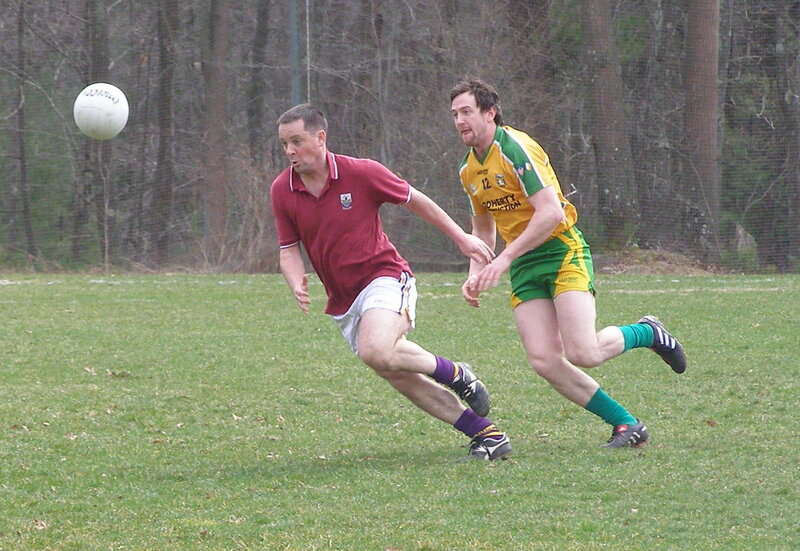 Wayne Callaghan in action for the Gaels. The Pat O’Brien Cup reaches its penultimate stage on Sunday. The first semi-final involves the Gaels and Wolfe Tones. The Tones fielded a physical looking side and overcame a strong Donegal challenge on their last outing. That said, the main threat from the Tones comes their forward pair of Dan McCabe and Marty Farrell. The Gaels corner backs will have their hands full. Also, strong around the middle, the Tones could have an advantage in this area of the field. The Gaels have shown themselves to be a hard working team that plays an up-tempo style of football. With plenty of talent sprinkled throughout the field, including Wayne Callaghan, Barry Murphy, PJ Kelly, and Eamonn McGlinchy, the Gaels are well balanced. With the home-based signing deadline of April 30 behind us some new faces will likely be in the fold for both sides. Looking forward to a good game of football between these teams. The second semi-final sees Aidan McAnespies face Cork. Cork have had to beat the New England Celtics and Armagh-Notre Dame to get there. McAnespies put on an amazing about-turn to overcome Christopher’s in the last round. With Trevor Kelly back in the fold, and Mike Moynihan looking sharp in the full forward line Cork have played some good football. David Hughes in midfield and Colm Caffrey at center back have also put in some good performances for the rebels so far. McAnespies will present a different animal for the Corkonians. Philip Toner and Colm McCrory present two top notch forwards for Cork to deal with. Elsewhere, Niall Kerr and Neil Donaghy will be strong in the middle of the field, while the McAnespies back line will not be as easy a door to open. In spite of two good wins for Cork so far, I’d be surprised if Sunday was not the end of the road. Last week I said the Armagh-Notre Dame would provide a stiffer challenge for Cork, that was not an accurate assessment. The southerners had another easy win to advance to the semi-final of the cup. Armagh-Notre Dame were unable to match Cork in any facet of the game. Cork were on top from start to finish, and Trevor Kelly, and Mike Moynihan combined well in the Cork forward line throughout the game. At the end of the first half Cork led by six points. An early goal came with a great downfield move that started with Joe Regan at corner back and ended with Kelly linking with Moynihan who put Andrew Boyle in for a close range goal. Cork continued to brush the challenge of their opponents aside Moynihan put three more over the bar along with one from Mark Cahilane. Moynihan put another major away for Cork just before half time, while Frank Meehan mustered a couple of scores for his side. At the half it was 2-4 to 1-1 in favour of the southerners. The second half was downhill for Armagh-Notre Dame. Cork kept up the pressure and dominated all over the field. Boyle netted a second goal for himself and a third for Cork. More points came from Sean Caulfield, Trevor Kelly, and David Hughes. Colm Caffrey and Julian Leonard got in on the act with scores as they moved up from their berths in the back line. Cork will face Aidan McAnespies in the semi-final, and I will venture to say that Cork will face a tougher test. Cork: J. O’Toole, J. Leonard, J. Regan, C. Poirer, C. Caffrey, A. Murphy, D. Hughes, S. Caulfield, M. Cahilane, T. Kelly, D. Nealon, M. Moynihan, A. Boyle. Armagh-ND: C. McArdle, T. Cassidy, C. McGinn, P. Kelly, F. Meehan, D. Maguire, S. Butler, F. McClelland, G. Hall, M. Tiffany, P. McEvoy, B. McGrath, S. Short. It was an about turn for McAnespies in this game who lined out with namesake and nephew of the man the club is named after at corner back. Christopher’s dominated proceedings for the first period but a half time change turned the game on its head and McAnespies ended up winners with a score to spare. Patrick Delaney and Dan Kenneally had a decided advantage over the first half, and Paudie Kenneally caused havoc for the McAnespies back line. Paudie Kenneally opened Christopher’s account with a goal with a shot from close range having an identical chance a couple of minutes earlier. John Moylan and Manning each pointed for Christopher’s before Paudie Kenneally stroked a beautiful effort over the bar. With McAnespies second best to everything it looked as if a whitewash could be on the cards. Kenneally pointed again and Christopher’s led by a goal and four to no score. Just before half time Macs got a critical goal. Colm McCrory had pointed a free when Cronan Dempsey made a foray forward from his center back position and blasted home close range to get McAnespies on the scoreboard and bring the game back to a one score difference. McAnespies brought Neil Donaghy off the bench and into midfield for the second half, and Philip Toner took up a wing forward position. The change worked a charm from the viewpoint of McAnespies. Niall Kerr pointed from the throw-in with a shot that bounced once and over the bar. Donaghy followed with another point, and then Toner, who looked more at home at wing forward, leveled the scores. McAnespies heightened focus was evident and worked as a team. Christopher’s now were the side looking for answers and finding none. Toner drew the sides level with a shot from the wing. With McAnespies in the ascendancy the what looked so hard in the first half seemed so easy in the second. The points continued to flow, Peadar Nugent, Toner, and Colm McCrory fired their team into a four point lead before John Moylan stemmed the tide with a point for Christopher’s. A goal would have leveled things for Christopher’s, a good move involving Niall Kerr, Niall Gallen, Peadar Nugent and finished by Steven Magill resulted in a deciding goal. McAnespies advance but not without some questions being asked in the first half. Macs: T. Chute, A. McAnespie, M. Bouge, J. Roche, C. Dempsey, N. Gallen, N. Kerr, P. Toner,O. McCusker, C. McCrory, J. Kindregan, S. Magill, P. Nugent. Christophers: K. McEnrey, N. Ryan, J. Duane, R. Holmes, D. Powell, C. Nolan, D. Kenneally, P. Delaney, P. Manning, S. Kelly, J. Moylan, P. Kenneally, P. Bannon. Donegal and Wolfe Tones played a tough, hard game Sunday afternoon and few will argue that the Tones came out worthy winners. With plenty of big men around the middle, and Down men Marty Farrell and Dan McCabe in the corner forward positions to provide the finishing touches, the Tones wore down their opponents. The Tones shot into a four point lead with Donegal scoreless until the half was 15 minutes old. Dan McCabe caused havoc and opened with two trademark points turning onto his right boot. After Marty Farrell pointed a free, McCabe struck again and Donegal management had seen enough. John O’Brien was given the duties of marking McCabe, and while McCabe was quieter, O’Brien’s effectiveness as an attacking wing back was neutralized. Donegal did fare better however. Christy McLoughlin and Danny McBride each pointed to make it a four points to two half time score. After the Tones extended their lead to three points early in the second half, Donegal drew within a point through scored from Michael McGinty and Eamonn McCarney. With the sides trying to find the opening that would decide the game, it was the Tones who had the outlet in the end. McCabe and Farrell each pointed to put a goal in it. A goal would level it for Donegal and it came at the death but was disallowed as referee Tadhg Lucey saw a square ball. Eamonn McCarney put a high ball in and Paddy Kelly fisted in over keeper Dean Bourke, but Donegal delight soon turned into anger as much to their chagrin the goal did not stand. The Tones advance to face the Connemara Gaels on April 30. Both teams have some impressive players and with both teams likely to have made some additions before the deadline it is hard to declare a favourite, but given the performances so far we should be in for a good game when the teams meet two weeks from now. Tones: D. Bourke, D. Maguire, A. Rooney, C. Malone, K. Regan, M. O’Brien, J. Kavanagh, G. Brilly, S. Kelly, C. Power, D. Bonfil, D. McCabe, M. Farrell. Donegal: L. Mailey, H. Devine, P. McLoughlin, R. Ivors, E. Doonan, J. O’Brien, P. McLoughlin, M. McGinty, D. McBride, K. Curran, E. McCarney, C. McLoughlin, P. Kelly. The industrious Connemara Gaels came away with a win against a dogged Shannon Blues who made the Gaels work hard for the win. The Gaels missed plenty of chances throughout, but limited the Blues to a goal from a Gary Henry penalty. Shannon Blues' Kieran Sullivan plays the ball. ﻿ The first half was as low scoring as they come. The Blues opened well attacking the Gaels but missed their first couple of scoring chances. The Gaels got on the scoreboard with a well taken Brian Carroll free which was soon followed by a goal from PJ Kelly. Kelly might have had a stroke of fortune as it looked like an effort at a point was hit a little low and the ball carried into the top corner of the net. The Gaels got it together and passed the ball well, but missed some easy chances to score. James Feeney at wing forward and Pat Murray in the middle of the field worked hard, but the Blues passing let them down when in the opposing half and the ball turned over too often for their liking. With the Gaels leading by five points, substitute Tommy Walsh pointed soon after the restart from a free, the Blues were right back in the game. 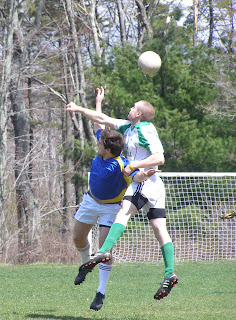 A high ball into the box resulted in a foul on Tommy Herron. Gary Henry came up from his goalkeeping position and neatly slotted the ball to the keeper’s right. Any lift the Blues may have had was short-lived however as the Gaels had an answer right away. PJ Kelly capitalized on a ball that bobbled in the box and punched home to restore the difference to five. Walsh, who proved effective after coming on, again won his own free and put it over. Joe Geoghegan put any doubt to bed as he finished a crossed ball from Brian Carroll and Walsh put the finishing touches on proceedings with a point from a free. With the win the Gaels advance to face an impressive looking Wolfe Tones side. For the Blues a spirited performance was not quite enough, but there were one or two performances that will provide encouragement for the season ahead. 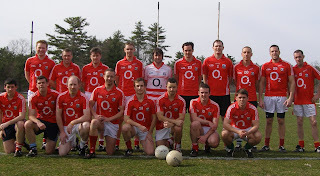 Gaels: B. Joyce, M. Coyne, W. Callaghan, V. O’Malley, B. Murphy, B. O’Halloran, M. Geoghegan, G. O’Malley, T. McDonagh, J. Geoghegan, E. McGlinchy, B. Carroll, PJ Kelly. Blues: G. Henry, M. Green, C. Murray, M. Keegan, B. Driscoll, M. Coyne, P. Murray, N. Murray, K. Sullivan, JP Devane, J. Feeney, T. Herron, L. O’Neill. As part of their preparations for the Connaught Championship New York traveled to Canton Massachusetts on a cold raw April day to take on a Boston selection. New York management will have been satisfied with the end result, a ten point victory, however, there were spells in the game where Boston enjoyed a decent amount of possession and if a few more finishers had been in the front six, the home team would have been much closer to their opponents on the scoreboard. On the whole, however, New York’s superior fitness and sharpness winning the ball were clearly evident. New York midfielder Pat Madden was the best player on show, while Robbie Tasker and Dan Doona carried the forward line for the visitors. ﻿﻿ New York opened with a flurry of missed opportunities, and after 5 minutes Colm McCrory opened the scoring with a point from Boston’s first attack. Seamus Toner got New York on the board with a fisted effort, and Dan Doona then gave the visitors a lead that they would maintain for the rest of the game. Boston, however, kept it close for the first 20 minutes of the half. Barry Murphy and John O’Brien worked hard in the wing back positions, however, it was largely down to the running of McCrory to generate scores for the locals. McCrory and Kevin Curran each pointed for Boston, and Stephen Harold and Francie Cleary kept the visitors noses in front. With New York winning the lions share in midfield, and the Boston players tiring as half time approached, the visitors extended their lead. Johnny McGoldrick, Doona, Madden and Tasker pointed without answer. McCrory pointed from a free and from play for Boston to make the half time score 0-5 to 0-9 in New York’s favour. Boston Selection who faced New York Saturday. Boston improved their overall performance in the second half, as the home side had plenty of possession and worked the ball well upfield, but once in range of the opposition goal posts, found openings to shoot few and far between. Doona and McCrory exchanged scores after the restart, and Boston worked hard for the next ten minutes to try and eat into New York’s lead. The Boston back line played well and moved the ball upfield, however, the home sides shooting was wayward or New York won possession back. New York brought in some substitutes for the last quarter, Kenny O’Connor was planted at full forward and netted with a looping shot after 20 minutes. Kevin McGeeney, Rory O’Connor, and Paul O’Hara made an impact on the scoreboard as Boston tired and fresh legs finished the job for the Big Apple boys. Barry Murphy pointed from wing back and McCrory pointed twice as the clock ran down, and,which may give New York some pause for thought, were twice in for late goal chances only for Alan Heraty to save well at his near post on two occasions. The New Yorkers will certainly face a much tougher task on May first against Roscommon. The run out Saturday will have done them no harm, and the side look fit. 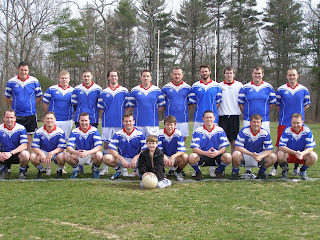 The Boston side worked hard and played well for periods, and were worthy representatives of the Divison. Best of luck to New York in two weeks. NewYork: A. Heraty, P. Lambe, B. McGorty, K. Martin, J. McGoldrick, M.J. Fitzgerald, R. McGinty, P. Madden, S. Harold, G. McCooey, K. Smith, F. Cleary, D. Doona, S. Toner, R. Tasker. 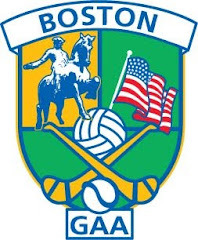 Boston: L. Mailey, P. Wamish, M. Boyne, N. Gannon, B. Murphy, N. Kerr, J. O’Brien, P. Toner, G. Brilly, K. Curran, C. McCrory, E. McGlinchy, D. Reddin, O. Kavanagh, A. McEnrey. Cork advanced to the next round of the O’Brien Cup with plenty to spare over the Celtics. The Celtics kept in touch for the first half, but in the second the Rebels netted three times as it was one way traffic. Liam Fleming opened the scoring with a point right from the throw in. Cork proceeded to squander three goal chances. The first was a penalty chance that Mike Moynihan put the wrong side of the keeper’s right post. John Crowley and Andrew Boyle then had chances from play that were effectively blocked by Mark Molloy between the posts for the Celtics. David Hughes leveled for Cork, Hughes proved to be an asset in the Cork midfield and found himself frequently on the ball. Mike Moynihan was on form in corner forward for Cork and the rebels hit him with some good ball to run on to. The Celtics kept in touch with their opponents however. Paudie Kenneally put some well taken points over the bar for the American-born outfit, while Moynihan was the outlet for the last four Cork points. At the half it was six points to five for Cork. Cork swept away their opponents in the second half. This time the goals came, John Crowley put the first away early in the half and with points added from Boyle, David Hughes, and the flying Mike Moynihan the Celtics saw the game slip away. John Curtin added a second goal for the Corkman, and Moynihan a deserved third. Cork will face a sterner test next week when they face Armagh-Notre Dame in the quarter final. Cork: L. Barden, J. Regan, J. Leonard, C. Power, C. Caffrey, J. Caffrey, D. Hughes, S. Caulfield, J. Crowley, A. Boyle, D. Neylon, M. Cahalane, M. Moynihan. NE Celtics: M. Molloy, R. Graber, C. Walsh, P. Kerrigan, K. Fleming, M. Peterson, D. Kenneally, J. Kenneally, P. Kenneally, L. Fleming, M. Rushton, W. Fleming, R. Kenneally. Donegal and Galway served up a low scoring encounter. Chances were created by both teams, but neither had the shooting boots fine tuned yet. The half time score of 0-3 to 0-1 in Donegal’s favour was indicative of the nature of the game. Galway were guilty of at least four misses from frees that later in the season should be bankers. For their part, Donegal missed plenty of chances from play. However, Kevin Curran and Christopher McLaughlin managed to send the ball between the posts three times between them in the opening period. Danny Reddin managed the lone score for Galway. Galway worked hard throughout the half but it was all for very little return on the scoreboard. Galway's Peter Nolan with Hugh Devine in pursuit. The second half continued along the same vein. The misses continued to mount at both ends of the field. Rocky Ivors looked lively in the Donegal forward line, and the man from Iorras added to the lead about 10 minutes into the second period. With both sides huffing and puffing in the search for scores, Kevin Curran added to Donegal’s tenuous lead with a point that made it a four point advantage for the northerners. Galway mounted a late assault on the Donegal goal which yielded two points, one from Donal Redmond and the other from Reddin right at the final whistle. Ray Byrne, Owen Kavanagh, and Jason Foley were best for Galway, while for Donegal Tom Caldwell had a good outing in the half back line, along with Rocky Ivors and Christopher McLaughlin up front. Donegal meet the Wolfe Tones next week. The Connemara Gaels had a satisfying first outing of the year and dispatched with Mayo with relative ease. The first quarter was tight as Mayo hung with their opponents, but as the game wore on Gaels turned the screw the outcome was more or less decided before the second half was too old. Barry Murphy impressed in the back line for the Gaels, while Eamonn McGlinchy and Bryan Carroll worked hard throughout at the other end. Carroll got the Gaels on the board first with a point after 5 minutes, Dara McLaughlin leveled with a well-taken score for Mayo before Joey Geoghan and Carroll again put the Gaels ahead, and there they would stay for the rest of the game. Conor Walsh at center forward was the main threat in the Mayo forward line and proved effective at opening things up, but Mayo could not capitalize. Paudie O’Donahoe pointed a second for Mayo, but from then on the Gaels took hold of the game. Tom McDonagh extended the lead to four, and shortly afterwards Barry Murphy won the ball in his own back line and finished a great move with another point for the Gaels. Joe Geoghan made it six points to two for the Gaels at the break. The second half was all Gaels and the forward line had plenty to feed on. Mayo found it hard to cope with the forward runs from Murphy who opened the scoring in the second half. Geoghan, Kevin Owens, and substitute PJ Kelly rattled off points and the Gaels introduced the subs for a run. After Eamonn McGlinchy and Carroll each added to the Gaels tally, Mayo finally made a breakthrough and Conor Walsh netted a consolation goal. A satisfying outing for the Gaels who advance to meet the Shannon Blues next week. Some good individual performances from Dara McLaughlin, Walsh and Gervase Toner will give Mayo something to build on. Gaels: B. O’Halloran, M. Coyne, B. Murphy, V. O’Malley, K. Lowe, S. McKiernan, M. Geoghan, G. O’Malley, T. McDonagh, J. Geoghan, E. McGlinchy, K. Owens, B. Carroll. Mayo: A. Townsend, B. Cassidy, J. Morin, M. Murphy, R. Coyne, M. Carolan, G. Toner, K. Comer, P. O’Donahoe, C. Walsh, P. McKiernan, P. O’Malley, D. McLoughlin. For the following round, the winners of each game will play Shannon Blues, Wolfe Tones, Christopher's, and Armagh-Notre Dame respectively. 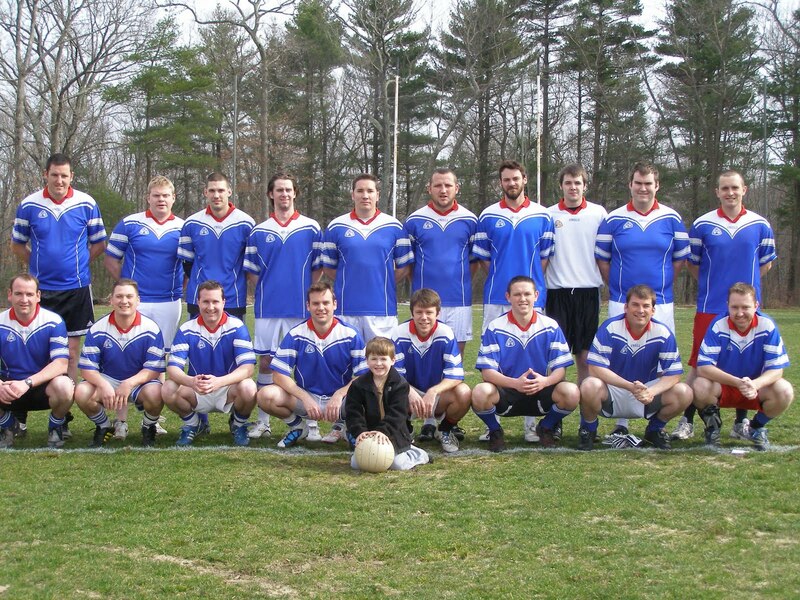 A Boston Selection traveled to Gaelic Park, New York last Saturday and played a challenge match against the New York team. 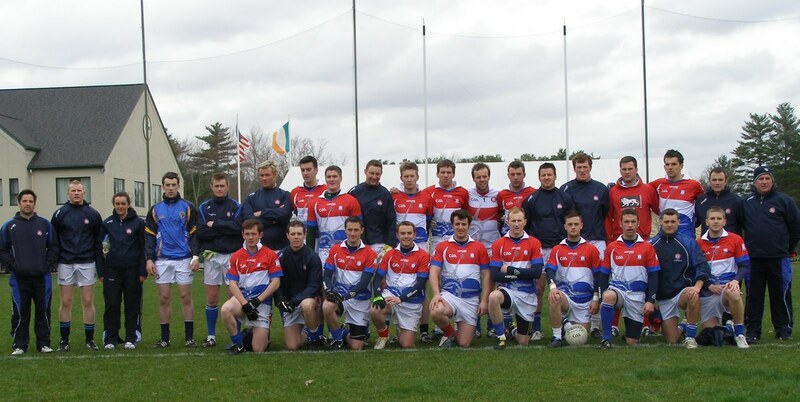 New York are preparing for a Connaught Championship match against Roscommon May 1. The New Yorkers won easily enough in the end by a score of 1-14 to 0-9. There will be a return fixture on Saturday, April 16 at 3:00 in Canton. The Bostonians should give a better account of themselves as more players will be available and an extra two weeks training will help on the fitness end. Look out for local stalwarts Colm McCrory (McAnespies), Dan Kenneally (Christopher's), Kevin Curran (Donegal), and Sean Gallagher (Galway) to look to make amends. 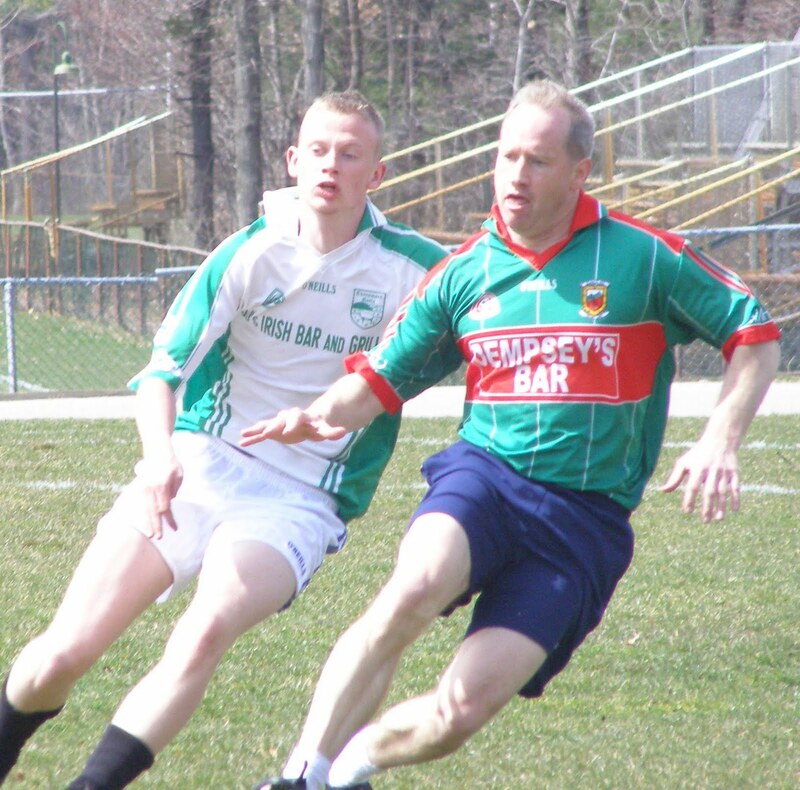 Along with help from the Wolfe Tone's Marty Farrell and Gary Brilly, Coleman Mulkerrins from the Connemara Gaels, and several newcomers to town, the New Yorkers should be in for a better test.